We're loving being sort of back to Sonlight! Instructor Guides for the three older guys have been ordered and will hopefully arrive this week. Connor will have run out of the 3-week sample by that point, and I'd just rather get started with William and Thomas with the real thing. I am continuing to read Albert Einstein by Kathleen Krull and Investigating Rocks by Will Hurd, as part of the Moving Beyond the Page units that I am doing with William and Thomas. Both are great, and the study has been fun. I am still reading Poppy by Avi to Richard and Trina. Also part of a Moving Beyond the Page study. We are working on this at a bit slower pace now. We are doing Tower of Babel by Bodie Hodge as a family read-aloud. From a real book now instead of from my Kindle. Richard and Trina are listening to Pippi Longstocking by Astrid Lindgren. They only heard another chapter though. Charlotte's Web is our first Sonlight Read-Aloud for Richard and Trina. It is a bit scary for me to realize that they haven't heard the book ever. Which is why I'm back to Sonlight. I read When Jackie and Hank Met by Cathy Goldberg Fishman to the little two. That's a review I'm putting up on Amazon as soon as I get this posted. What a great book. Every time I read about Jackie Robinson, I am so incredibly impressed by him. This picture book is at a great level of detail for the younger ones. You understand that both Hank and Jackie were treated badly because of their religion or color, but without graphic detail. How about you? What are you reading out loud? Everytime you mention SL I want to find a way to make it work again for me and Supergirl. I don't think I'll be joining you everyweek but I hope to join a couple times a month! 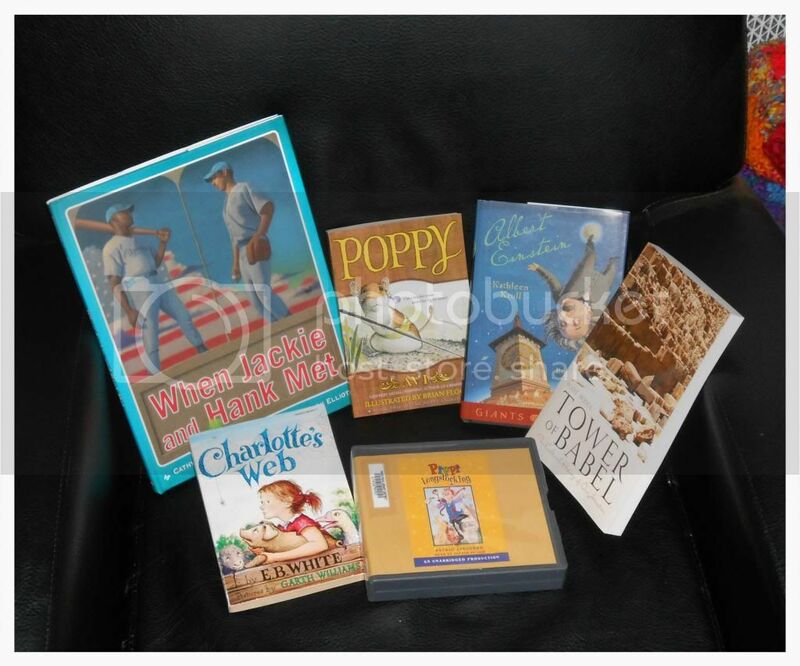 Charlotte's Web is on my "soon" list!